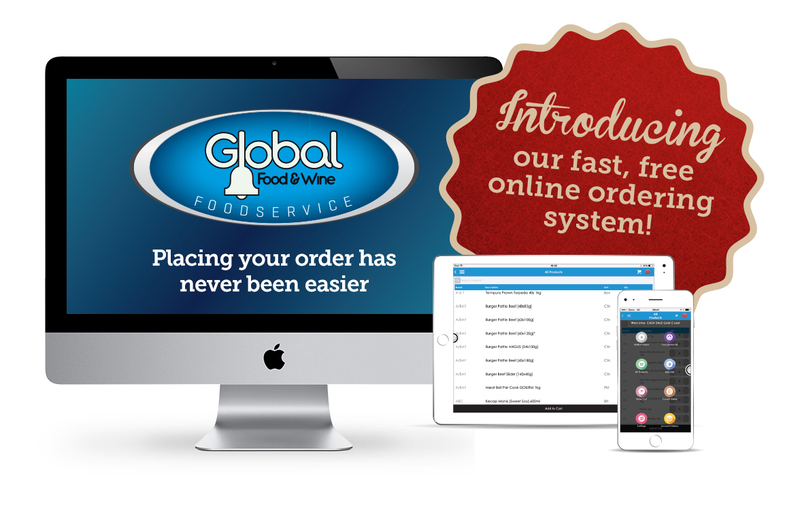 While phone, fax and email are still at the forefront of kitchen ordering, you now have the opportunity to place all your orders electronically using the Global Food & Wine App and the Global Food & Wine Online system. Fill in your details here below & REQUEST LOGIN DETAILS. You can download the App by clicking the relevant icons at the bottom of this page. You will then be contacted by a dedicated member or our team. Fill in your details below & REQUEST TO OPEN AN ACCOUNT. Credit and Trade Application Forms can then be downloaded below for completion and forwarding to us by email. Upon receipt you will be contacted by a dedicated member of our team. Take your Global Food & Wine ordering with you on the go with our convenient Global App, available on both iPhone and Android mobile devices.